Makes: around 4 Servings of Spinach Tomato Chutney. Wash, chop off hard stems and roughly chop spinach leaves. Wash and roughly chop the tomato. 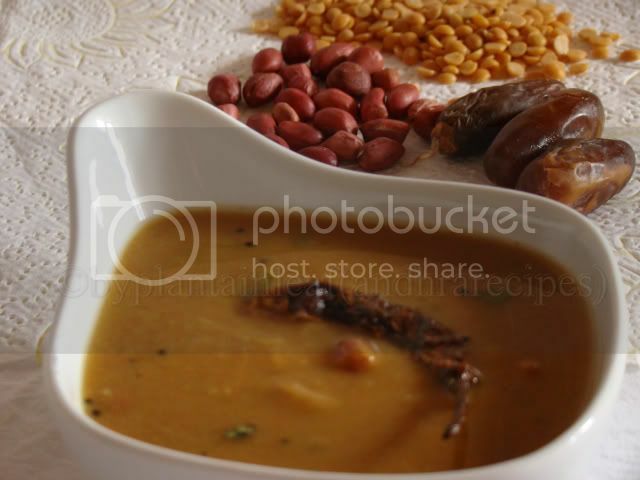 Soak tamarind in few tablespoons of warm water for couple of minutes. When mustard seeds stop spluttering, remove a tsp of the tempering along with curry leaves onto bowl. Then add chopped green chiles and tomato. Cook till tomato softens a bit, stir in chopped spinach, soaked tamarind, turmeric powder and salt. Cook till spinach wilts completely. Cool the cooked ingredients to room temperature and grind it into smooth paste using a blender. Notes: Make sure to cook the spinach well. My blog baby is only two years and 5months old,but today i reached my 1,500th post am soo excited and i have no words to explain how happy i am...Nothing is possible without my blogger buddies non stop encouraging comments and continous supports by visiting my blog baby...I can say so many beautiful things happened to me after coming to this wonderful blogsphere..I won so many beautiful events, obviously my first cookbook i got for my book shelf is from this fabulous blogsphere..Even two days back, i won a contest by great Indian chef Sanjeev Kapoor, have no words to explain how happy i am..Coming to this strawberry jam and coconut fudge, i tried out making this easy breezy fudge few days back for my friend's kid's birthday party as the theme for the party is sweets with fruits..Initially i wanted to make some pannacotta which was completely easy and quick for me, finally my friend proposed me to make some Indian sweets which coconut..After a discussion and hesitation, i tried adding some strawberry jam to our usual coconut fudge...This fudge was a big hit among kids, obviously it was one of the best dessert,all the kids loved at the birthday party..
Cook the dessicated coconut and milk until the milk get absorbed completely by dessicated coconut and keep aside...Take the sugar in a pan, add enough water to cover the sugar, bring to boil and cook until the sugar syrup gets two string consistency, add the dessicated coconut, strawberry jam, almond powder and cardamom powder and cook until the mixture turns thick,transfer the mixture to the greased bowl..keep aside until the fudge gets cool..
Slice the fudge as desire and enjoy!! 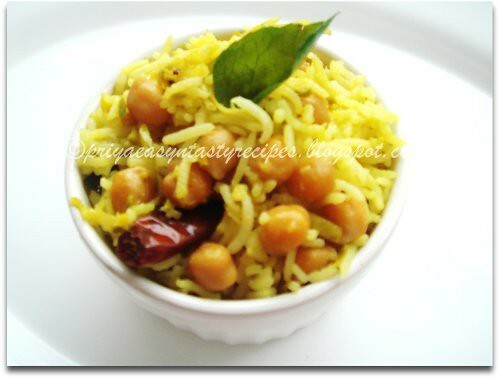 Most of my Punjabi recipes are derived from Kapoor Aunty's Rajma and/or Chhole recipe. If I am making Punjabi style curry (beans/chicken/eggs), I use onion, tomato, ginger-garlic paste, coriander-cumin powder and garam masala. I play with the consistency of the gravy by grinding all ingredients together, or chopping onion & tomatoes (especially for bhurta) or grating the ingredients (especially for chicken). But more or less, it's the same basic recipe in different avatars. I had some masoor sprouts in the fridge. So I decided to make these tariwale masoor (Punjabi Masoor Curry). 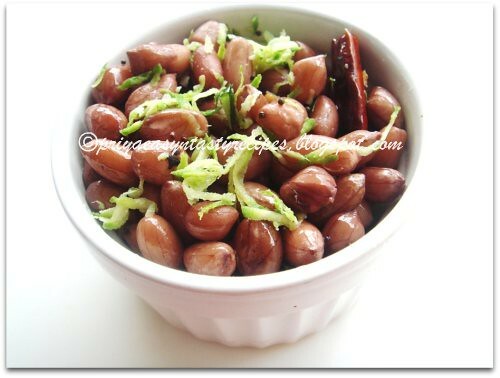 In my opinion, since masoor is more mild and mushy than Rajma or chhole, use less amount of garlic cloves. I don't think Kapoor aunty cooked with masoor much but this is my version. 0. Pressure cook masoor and set aside. 1. Heat oil in a pressure pan/cooker. Add cumin seeds. 2. Add onion - tomato paste. Saute for 5 minutes. Add 3/4 cup water. Close the lid. Put on the pressure and cook till 3 whistles. 3. Let the pressure drop by its own. Now add cooked masoor, water as required, remaining spices and salt. 4. Bring to boil. Let it simmer for 10-12 minutes. 1. Traditionally, the onion-tomato paste is sauted for more than hour till the raw smell is completely gone and oil leaves the masala. I used pressure cooking technique to save on time. It has been ages i prepared sundal with peanuts, this peanut sundal with mango brings me loads of beautiful memories, especially our Pondicherry beach sundal..Yesterday i soaked some groundnuts for making this sundal and prepared it today for our snacks along with grated mango..A mild tangy sundal to enjoy along with a cup of tea,both together turns out our snack truly great..Sending to Srivalli's Kid's Delight - Street Food..
Pressure cook the soaked groundnuts with enough water and salt for upto 3 whistles,once the steam get released, drain the cooked water and keep aside..Heat enough oil, fry the mustard seeds,urad dal,dry red chillies,curry leaves and asafoetida powder, add immediately the cooked groundnuts and grated mango,sauté for few minutes and put off the stove.. Enjoy with a cup of tea..
Eventhough Srivalli choosed bit late our this month Indian Cooking Challenge i can definitely say it was an excellent choice, yep she went for an easy,delicious,comforting,interesting and truly a new dal which goes for dried dates and my favourite veggies yam and drumstick, i tried out twice this dal and they tastes truly tremendous along with rice and crispy dosas eventhough i loved them with rotis..This dal tastes absolutely quite different from the usual dal, this dal is choosed from Prathibha and Jigyasa's second book called Sukham Ayu, thanks a lot ladies without u guys i never would have tasted this delicious dal...Actually this dish called for dried dates,kokum,yam and drumsticks but i never get here those dried dates and kokam and finally prepared this delicious dal with pitted dates and used tamarind extract instead of kokum also deduced the quantity of jaggery used in this dal,else i followed exactly as the original recipe went for..
Wash and cook the toor dal with enough water, turmeric powder and oil in pressure cooker for 3 whistles, once the pressure gets released, churn the dal well...In a heavy bottomed pan transfer the dal,add the cubed yam, drumstick pieces,pitted and chopped dates, groundnuts,slit opened green chillies, jaggery,tamarind extract,salt,coriander powder, cumin powder along with enough water and cook in medium flame until the veggies get well cooked..
Deepfried snacks are quite welcome that too when the temperature goes under 0°c.. we had a rainy weekend and i tried out making some crispy deepfried crispies for our snacks, this time i wanted to make some murukku coz i have nt prepared these deepfried beauties since deepavali also i wished to prepare them quite different from the usual murukku..I got hooked to this potato murukku at Raji's Rak's Kitchen as this recipe went just for rice flour,cooked potatoes,butter and salt which sounds absloutely easy for me and tried out this sunday,needless to say the whole batch i prepared vanished within few hours and am gonna make some again this coming weekend..Thanks to Raji for sharing this delicious potato murukku with us,which goes for easy preparation..Sending to Jayasri's Blogger's Marathon - Rak's Kitchen.. Check Srivalli,Azeema, Bhagi, Champa, Gayathri Anand, Gayathri Kumar, Harini, Jay, Kamalika, Meena, Mina, Padma, PJ, Priya Mahadevan, Pavani, Priya Vasu, Rujuta, Santosh, Saraswathi, Savitha, Shanavi, Smitha, Sowmya, Suma, Usha, Veena wat they cooked for our last day blogging marathon.. Grind the cooked potato with butter and enough water as fine paste, take the rice flour,cumin seeds, asafoetida powder, salt in a large bowl,gradually add the grounded paste,water and knead as soft and smooth dough..Heat enough oil of deepfrying..
Batata Humman is a delicious curry prepared with potatoes,coconut and tomatoes, this dish is quite famous in Mangalore and prefect side dish to serve along with paratha,rotis,pulkhas also along with rice..I came across this dish at great chef Sanjeev Kapoor's space which sounds absolutely easy for me since i was searching something new to serve along with rotis for our tonite's dinner..I prepared this delicious side dish using microwave oven as this dish goes truly for a simple preparation..Its tooks less than half an hour in microwave oven anyhow the cooking time depends upon the power of ur microwave oven..The addition of the coconut oil enhance the flavour of this beautiful dish and we guys completely fallen in love with this curry....Sending this curry to Srivalli's MEC-Curries & Gravies..
Cook the cubed potatoes with a cup of water in high temperature for 10minutes in microwave safe bowl..once the potatoes turns soft, strain the water and keep aside..Dry roast the dry red chillies for 3 minutes, grind now the grated coconut, roasted dry red chillies and tamarind pulp,asafoetida powder and grind as bit coarse paste..Now take the cooked potatoes, grounded paste, tomatoes, half a cup of water and cook for 15 minutes in high temperature until the curry turns thick..finally add the coconut oil,give a stir.. 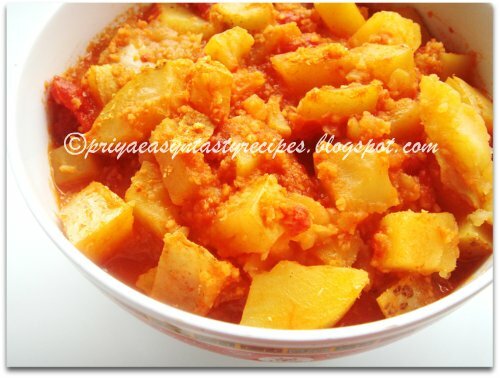 Enjoy this super delicious batata humman along with rotis..
Have you ever prepared anything as Indianised version of chutney or side dish using Leeks?? if not just go throw this interesting spicy as well as mildly tangy chutney with leeks...My H love crispy dosas and he always need two or three side dishes to enjoy either idli or dosas...Sometimes i have to break my head to cook up something new of else revisited chutney to serve him happily, this time i prepared this delicious chutney or thuvaiyal using leeks,ginger,garlic,coriander seeds, curry leaves,red chillies and tamarind..Needless to say this thuvaiyal tastes marvellous as side dish for dosas,with sambhar rice and i loved it..
Heat few drops of oil, fry the chopped ginger, garlic cloves, dry red chillies, coriander seeds and curry leaves until they turns brown, take them in a mixie, now add the chopped leeks to the same pan and fry until they shrinks a bit...Take this sauteed leeks along with the fried spices,tamarind, grind as bit coarse paste with enough salt and water.. Meanwhile heat enough oil, let splutters the mustard seeds, urad dal and curry leaves, add this temperd spices to the grounded paste, mix well and serve as side dish..
Farfalle is quite known as bow tie pastas, i do buy often coz my lil one loves this pasta soo much, today i prepared this simple,delicious,quick and creamy herbed pasta for our lunch and served along with some cucumber salad and grilled chicken thighs...This creamy herbed pasta goes for few tsp of dried herbs like parsley,basil,thymn cooked along with onions and low fat cream,if u dont have these herbs, u can add any herbs as u desire to this dish..Sending this filling and comforting pasta dish to Presto Pasta Nighte - 201 guest hosted by Pia..
Heat olive oil, sauté the chopped onions until they turns transculent, add immediately the cream,dry herbs and bring everything to boil, add now the pepper powder,salt and cooked paste, stir for few minutes and serve hot topped with grated cheese.. 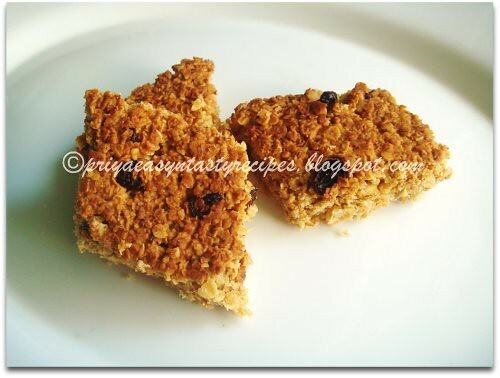 Enjoy with salad or grilled meats..
British Flapjacks is a sort of cookies which looks almost like granola bar prepared using oats, golden syrup,packed brown sugar,butter...This cookies are truly addictive with rich buttery flavour and with a mild sweetness..As like most of the British desserts, this flapjacks doesnt need lot of sugar to be delicious, they are really a prefect treat to enjoy anytime at the same time very hearty..Usually flapjacks are used be triangular in shape, but i wanted to make them quite different and went for a diamond shape, no matter about the shape na..Wat we all need is to munch this healthy cookies rite, also i have added some black dried raisins to this flapjacks..
Preheat the oven to 350F, take the butter, brown sugar and golden syrup in a saucepan, stir continously until the butter melts,the sugar gets dissolved, remove the sauce pan from the heat, add the oats,salt and stir until the oats gets well coated..Transfer this mixture to a greased square pan, bake for 20-25minutes until the top turns golden..
Once get cooled, cut into triangles or watever shape u wish for..Enjoy with a cup of tea..
Today its quite chilling here,dunno when the sun god gonna come back, needless to say am so lazy to cook..Thats y our today's lunch goes for this delicious,comforting,easy breezy, tangy and gingery rasam...This rasam tastes marvellous with spicy potato roast or egg roast which suits prefectly for this chilled weather...Definitely a delicious rasam to enjoy anytime..
Dry roast the peppercorns, coriander seeds, cumin seeds..grind as fine powder..Now grind the tomatoes and ginger as fine paste..take the grounded paste, spice powder,salt,tamarind,cooked toor dal, add enough water..mix everything well..
Heat enough oil, fry the mustard seeds, dry red chillies, cumin seeds,curry leaves and asafoetida powder, add this tempered spice to the already prepared rasam, bring boil,cook for 2 minutes and put off the stove.. I tried for the first time brown rice for making idlies, eventhough i used these brown rice for making many dishes and bakes...I completely skipped the white rice in this idly batter and tried out using brown rice and whole urad dal with some fenugreek seeds, these idlies turned super fluffy,soft eventhough they werent completely bright white in colour (usually in our home town idlies are compared to jasmin flower), the picture itself says it na..Otherwise we didnt find out any difference between the usual idly and this brown rice idly,when served with thick vegetable sambhar,this fluffy idlies tastes super delicious and filling...Am gonna skip completely the idly rice for making idly for the upcoming days..Sending this super fluffy idlies to WWC-Brown Rice for Dinner guest hosted by Siri,event by Sanjeeta..
Wash and soak the brown rice and whole urad dal with fenugreek seeds separately for atleast 4 hours, grind as bit coarse slightly thick batter with enough water in a grinder and add enough salt, mix well and keep it for fermentation, the next day while making idlies, give a stir to the fermented batter and pour enough fermented idly batter to the greased idly plates and cook in idly cooker for 10-15minutes.. 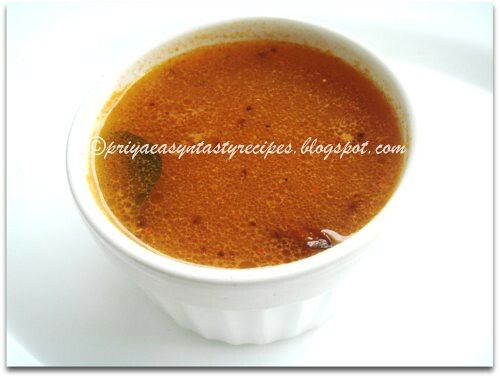 Serve this healthy idlies with any sort of spicy chutneys or sambhar..
Heat few drops of oil, fry the coriander seeds, flax seeds,dry red chillies, garlic cloves until they turns brown, add the onions to the same pan,fry for few minutes..Now grind everything with enough salt and water until they turns as thick coarse paste..Heat enough gingelly oil, let splutters the mustard seeds, urad dal and fry curry leaves, add this tempered spices to the chutney and serve along with dosas or idlies.. I got some fresh zucchinis sterday when i went to farmer's market as they were dead cheap and i picked few for making out some stir fries or soup, finally i prepared today this simple,quick and easy curry with whisked curd and a grounded paste with grated coconut,cumin seeds and green chillies which i prepared easily using microwave oven..Grated zucchini gets cooked easily in microwave oven,which helped a lot for making this curry as they get ready very quickly..This delicious moru curry goes to Srivalli's MEC-Curries & Gravies..Pls do check ur microwave oven power before cooking, coz the cooking time varies according to ur microwave oven power..
Heat enough oil in microwave bowl for a second, add the mustard seeds, urad dal,curry leaves and dry red chillies, cook for 2-3minutes in high..meanwhile grind the grated coconut,cumin seeds and green chillies as fine paste with enough water..Once the tempered spices turns brown, add the grated zucchini, cook for 3 minutes in high (stir twice)..
Add the grounded paste,turmeric powder,salt to the cooked zucchini,give a stir and cook for 5-7minutes in high (stir in between)..Finally add the whisked curd to the veggies, give a stir and cook for 1-2minutes..Serve immediately with rice and spicy fried potatoes.. 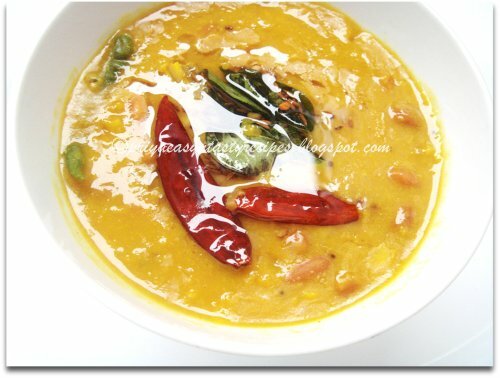 Nothing will beat a thick dal served with hot steaming rice topped with ghee and pickles, wat a comforting food na..I usually make simple dals using toor dal or either with toor dal and moongdal together, never tried out a simple dal just with split moongdal, i got this recipe from Nag's Edible Garden which sounds quite easy and interesting coz i never tried making dals with ginger in tempering spices i usually go for crushed garlic cloves, the addition of ginger pulled me to try out this dal for our sterday lunch and we guys enjoyed having this easy breezy dal with rice for lunch and with dosas for our dinner..Thanks to Nags for sharing this delicious dal..Obviously this dal goes to Jayasri's Blogger's Marathon - Edible Garden..
Cook the dal with enough water with turmeric powder, greenchillies and chopped tomatoes for 3 whistles in pressure cooker,once the steam get released mash the dal little bit and keep aside..Meanwhile heat enough oil in a pan, add all the ingredients given for tempering and fry, once they get well fried add this tempered spices and salt to the cooked dal.. I always love to experiment with food , only with what am going to have .. since my H, doesn't like varieties . He is not a person who would love to go with the flow .. ONLY in cooking . As i've mentioned earlier, watched this cookery show on sunday. 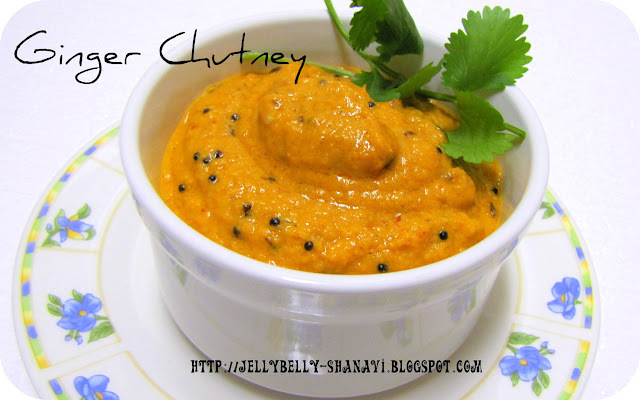 Saw this chutney there , I must say, i's not impressed at first, but did give a try.. It was good and i'll make it again in the future for sure..
Fry the dry red chillies,ginger and tomato in 2 tsp of oil until the tomatoes gets mashed. Grind this along with coconut and salt to a fine paste. Heat the pan with lil bit of oil and do the seasoning. Fry the mustard seeds followed by curry leaves and urad dal. Fry this until the urad dal turns golden. Now add the ground chutney in the seasoning and mix well. Leave the chutney in the low heat for 2 minutes and stir it. Transfer the chutney to the serving bowl and garnish with coriander leaves. Goes good with all the tiffin varieties..
1. 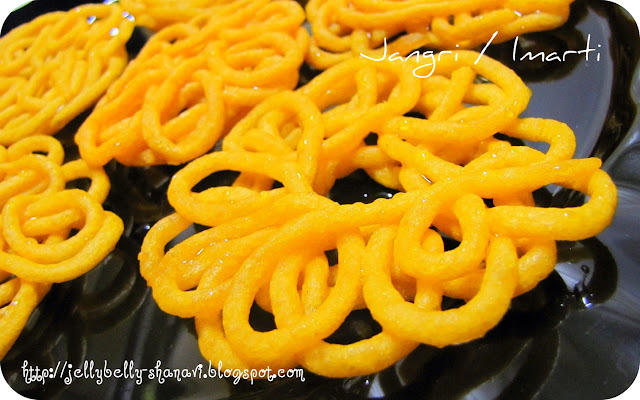 Mix all the flours with grated jaggery and milk. Mix so there are no lumps. Cover and keep aside for 7-8 hrs. 2. Stir in nutmeg and cardamom powders. 3. Add peepar, fenugreek and sunTh powders. Add more milk if needed. 4. Heat oil in mini pancake pan. Spread mini pancakes. Sprinkle some poppy seeds. Flip and fry on the other side. 1. Traditionally, only wheat flour is used for this recipe. 2. You can add more or less jaggery per requirement. 3. Peepar Mool, SunTh and fenugreek powder are added to a new mom's diet. 4. 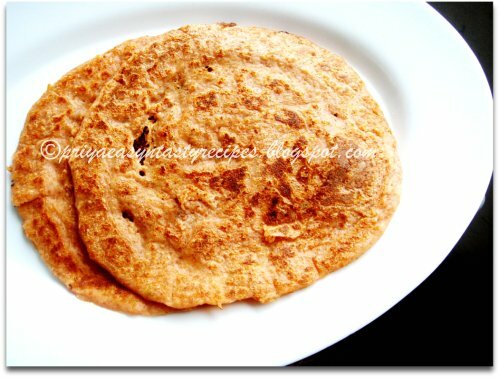 I have roasted these maal poodas like pancakes. 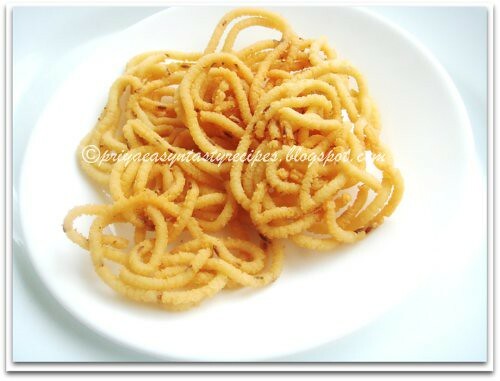 But traditionally they are fried in ghee/clarified butter. They are spread like mini pancakes but oodles of ghee is used for frying. 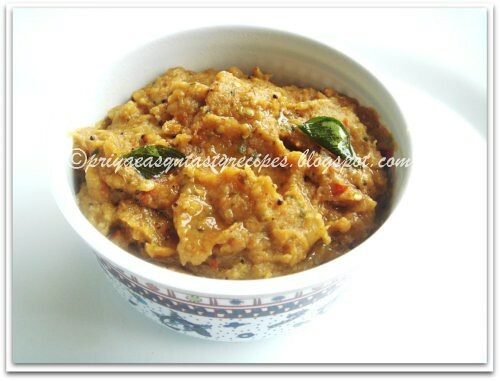 Today I was searching for a healthy breakfast and I had come across this version of oats pongal in anubhavati blog which I had bookmarked earlier long back.I prepared as per her instruction and it came out very well. I was amazed pongal can taste so good with so many healthy ingredients. So here is the recipe. Dry roast cracked wheat, oats, moong dal each seperately and mix them and keep aside. 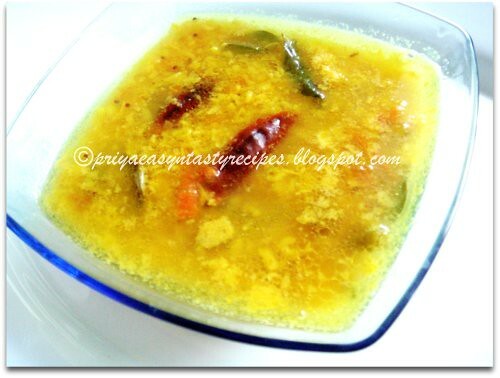 In a pressure cooker pan heat 1 tbsp ghee then add cumin seeds and once it splutter add grated carrot,ginger let it fry for a while then add six cups water,when it starts to boil add salt,pepper and cumin powder and the above dry roasted ingredients. Mix well and close the lid and pressure cook for 3 whistles and switch off. To prepare tempering in a tempering pan add 2 tbsp ghee once it get heated add cumin seeds and once it splutter add cashew nut, crushed black pepper,green chilli,curry leaves,pinch of hing and stir. Switch it off and keep aside. Open the pressure cooker after it cools add the above tempering to it. Switch on the gas and stir the cracked wheat oats pongal. Stir well till uniform consistency and if need add little milk. Jangri --- This is my fav sweet ever.. As this is my first trial , I hope i've made some justice . U may be wondering , " How come the colour of jangiri is golden yellow ? ! " Oh yeah, I deliberately made as golden yellow, as i'm opposed to adding food colour... Incase, if u wanna get the real colour of the jangiri, please add more food colour. 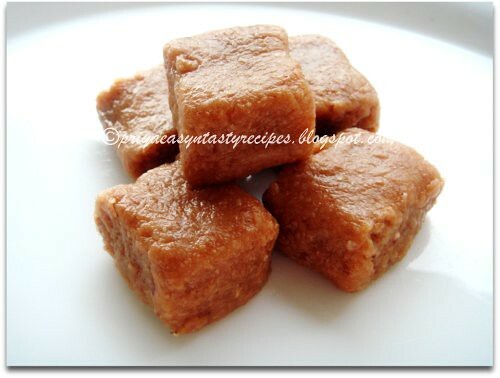 So far from my attempt, i would say, it's not that difficult to try a hand on making this delicious sweet. U know what , I made this jangiri last nite..I started around 9 .30 p.m and finished @ 12.15 p.m having my baby around.. Now I know how to lay the design of jangiri on the oil and at what temperature..Once u know these small small things , u r good to go..To be frank, i'll make this sweet again in the near future..I followed vahchef's recipe and to tell u the fact, I like to have my jangiri on a thicker side.. I mean, with lots of flesh soaked in syrup..hmmm..YUM.. Make a bigger hole on ur ziploc if u feel the same..
Soak the urad dal for 2 to 3 hours and grind it in a blender /food processor /mixie /grinder to a fine paste. Add very little water while grinding. May be less than half cup for this measurement. Add a pinch of salt ,food colour and mix it using a spoon. keep it sepeartely. In the meantime, u may prepare the syrup. Add the sugar, a pinch of salt,food colour in a wide bottomed pan and add just enough water to immerse the sugar. keep the flame in medium and dissolve the sugar. Boil the syrup for 3 minutes . Add the lime juice now to prevent the syrup from getting crystallised. Once u boil the syrup , u may switch off or keep it in the low flame ( very very low..) Pour in the rose essence and mix well. Now take a ziploc cover and open the mouth widely. Put a hole in the center as shown in the picture using a nail or anything u can get a hole out of.. Fill the zip loc cover wit half the amount of urad dal batter and squeeze it toward the end. don zip it.. Try to make the jangri design. First u've to make two circles and then form small overlapping cirlces like a chain and keep on doing the same until u reach the starting point. U may go a head and perform one more layer ( just a cycle of small circles..) if u want a thick Jangri..
Take a wide bottomed pan and pour the oil for an inch level.. Thatz more than enuf. Now heat the oil in the medium low for 4 minutes. Now the oil would start getting heated up. This is the right stage to lay the design. Now start making the jangri in the oil ( do not crowd them ). U may turn the heat to medium once u finish with the design and fry the jangri's until cooked and turns crisp.. Make sure , u should bring down the temperature of the oil very low for the further set.. Put /Dunk the Jangri in the hot syrup ( If the sryup is not hot , u may heat it again for a minute..) and leave it for 2 minutes .. Make sure, u soak it completely .. 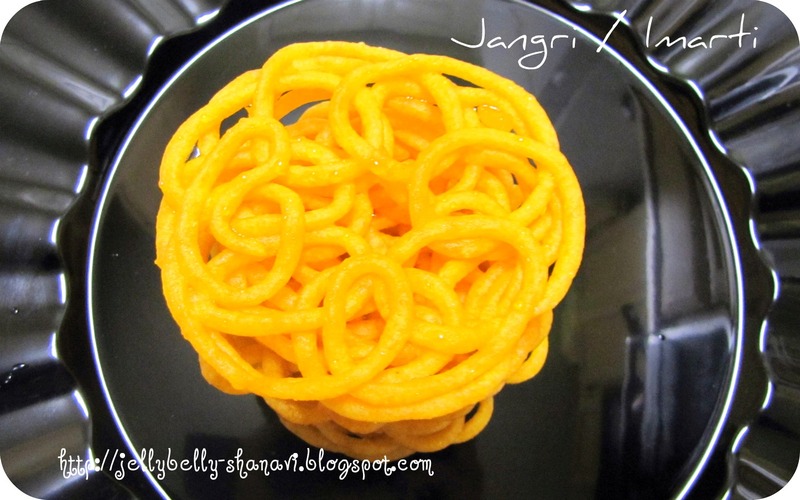 Transfer the jangri and place it on a seperate plate for few minutes and then transfer to a Container u r gonna store.. I would prefer to keep it overnite for better taste and absorption of syrup.. ..I know, who would wanna wait after all this hard work ...?!!! I also had it right away !!! Am happy to say that i won 25$ amazon gift card from Healing Food-Eggplant went on at Kavita's space last month, thanks to Siri and Kavita for ur sweet gesture friends, u guys made my day..I love instant version of making idlies or dosas,anyhow sometimes we can make dishes without fermentation..This wonderful looking healthy adais goes for an easy preparation and doesnt need fermentation..Just leave the batter in room temperature for few hours and ur batter is ready to make these yummy adais...Actually i came across this healthy adai recipe through a friend who doesnt have any idea where she got this recipe from, finally i went for making this adai which goes for wheat rava,brown rice and tomatoes, but my small mind doesnt want to make this adai without oats, so i have added half a cup of rolled oats to the already prepared batter to turn them more healthier..When served with spicy chutney this adai tastes truly marvellous and suits prefectly for breakfast and dinner..Sending this healthy adai's to WWC-Brown Rice for Dinner guest hosted by Siri,event by Sanjeeta..
Soak the wheat rava, brown rice together for three hours with enough water, grind the soaked wheat rava,brown rice,tomatoes, grated ginger,chopped chillies,with enough water in a wet grinder until they turn as bit coarse thick paste, add enough salt and take the batter in a vessel, now add the rolled oats directly to the batter and keep aside for 2-3hours..
Heat a tawa or a griddle, grease it with few drops of oil, pour a ladle of this adai batter, spread them as a medium size adai,drizzle the oil, cover it with a lid and cook in medium flame..once the top of the adai gets cooked, turn the adai and cook well..Serve hot with any spicy chutney..
Am a great fan of this tangy and delicious mango rice, its has been ages i prepared them coz none at home love this tangy rice apart from me..After a long hesitation and discussion, my DH said Yes to my favourite mango rice, finally i prepared this rice with some chickpeas for our today's lunch..For my surprise everyone loved this rice which i served along with spicy fried potatoes..I had a fabulous lunch today, this mango rice truly goes for an easy and quick preparation, a prefect lunch box menu to enjoy too..Sending this rice to JFI Rerun - Mango hosted by Satya..
Heat enough oil, let splutters the mustard seeds,urad dal and asafoetida powder..fry the dry red chillies, curry leaves, slit opened green chillies, grated ginger for few seconds, add the grated mango pieces,cooked chickpeas for few minutes along with turmeric powder and salt..Finally add the cooked rice,toss everything gently and put off the stove.. 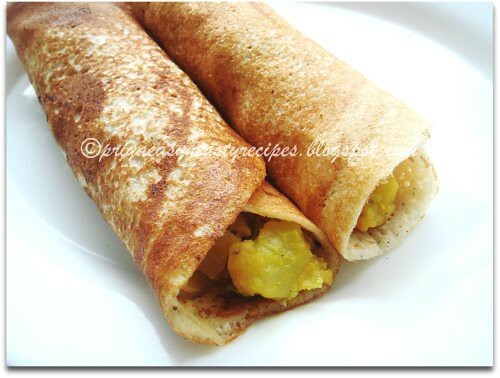 Whenever we guys goes to Saravana Bhavan in Paris, we order immediately their sambhar vada and masala dosa, yep those both dishes are truly addictive and we love it..Actually i was craving for some masala dosa since a long and with some leftover Brown Rice Idli Batter i prepared this delicious masala dosa..Since the batter is already ready to enjoy i just went for making a easy breezy potato masala to serve along with this crispy dosas...We enjoyed having this delicious,crispy at the same time filling dinner with coconut chutney..Sending to WWC-Brown Rice For Dinner guest hosted by Siri, event by Sanjeeta..
Heat oil in a pan, add the mustard seeds n cumin seeds n let them crack..add the chopped onion, chopped green chilly, grated ginger,turmeric powder n stir for a while, add the cooked potato pieces and stir them for few minutes, add enough salt and toss everything well until the oil get separates...keep aside and let them cool.. 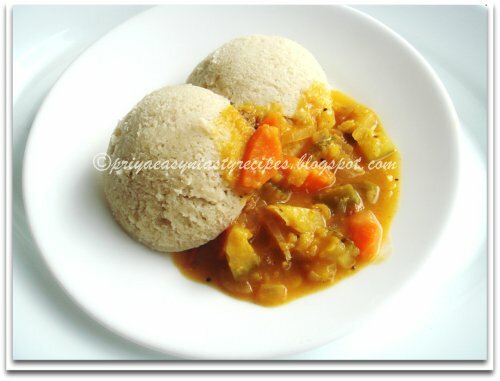 If u batter is thick, just add water to make them little bit thin..Heat a pan, brush the pan with oil..Pour a ladle of the brown rice idli batter,drizzle oil and cook on both sides..
Place a tablespoon of potato masala in the middle of dosa,roll it and serve immediately with spicy chutneys..
Preheat the oven to 350F..Take the yogurt,oil,maple syrup in a bowl and whisk until everything get well mixed..Mix the flax seed meal with 3 tbsp of luke warm water and keep aside, peel the kiwi's skin,chop them as small bites and mash the kiwi chunks..Now mix the flour,rolled oats, baking soda, baking powder,mashed kiwi chunks in an another bowl and gradually add the whisked mixture and flax seed meal to the dry ingredients and mix everything well..
Pour enough batter to the muffins mould and bake them in middle tray for 20-25minutes or until a skewer inserted comes out clean..Once these muffins get cooled, enjoy them without any guilt with a cup of coffee or tea.. 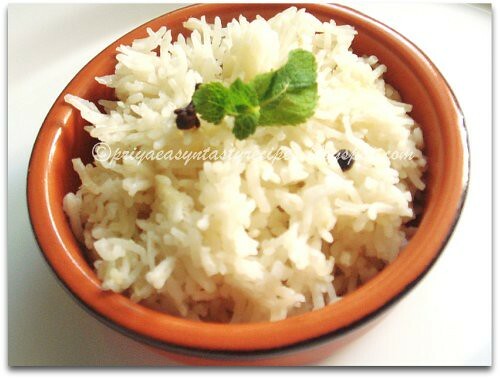 Most of us will try to make easy breezy dishes whenever we feel so lazy to cook up na, sometimes its happens to me..Fortunately some of our blogger buddies have best and quick recipes to try and taste, while going through Nag's Edible Garden,i got hooked to this easy ghee rice which was totally quick and easy to get ready..Immediately i tried making them for our Sunday's lunch and served along with fried chicken drumsticks, both together turned out lunch super filling and fabulous,thanks a ton to Nags for sharing this easy at the same time rich and delicious ghee rice, its truly very quick and we loved it..This ghee rice goes directly to Jayasri's Blogger's Marathon - Edible Garden..
Wash and soak the basmati rice for 15minutes..Heat the ghee in a pan, fry the cardamoms,cloves,peppercorns and chopped onions for few seconds, add immediately the ginger garlic paste and stir until the raw smell goes away, now add the soaked rice, fry for few seconds and add the water, transfer the rice to rice cooker..
Once the rice gets cooked, add the chopped mint leaves and serve with raitas or any spicy side dish..
7day marathon hummm good Idia for me.Now a days I am becoming very lazy to post my recipes my be because of weather here or I am becoming old:) i don't know any way. When I saw Srivalli s post about 7 day marathon I thought let's worm up my self and joined the marathon. This is a 7 day bloging marathon means we have to post each day a recipe for 7 days. Valli gave us some 7 themes to choose in those themes I have choosen regional and from to day I am here with 7 British recipe. So for these 7 days my theme is REGIONAL CUISINE BRITISH..
Cornish Pasty is a filled pastry commonly associated with cornwall in South West England in the United Kingdom.I have seen this recipe in Travel&living channel and noted the recipe .But that time I missed some ingredients so googled and got the recipe here.I changed the recipe to vegetarian but used eggs.The traditional Cornish Pasty is filled with meat and vegetables, The filling ingredients must never be cooked before they are wrapped in the pastry.I turned it in to my vege style with carrot,potato,cauliflower and cabbage,onion.Actually this is a complete meal itself which miners,farmers use to have for there lunch.In one way this is a packed meal for the workers at there work place.For cornish tin miners who were unable to go for lunch and they are covered with dirt from head to foot so this pastry is made for there convenience. They hold the folded crust and eat the rest with out touching it. 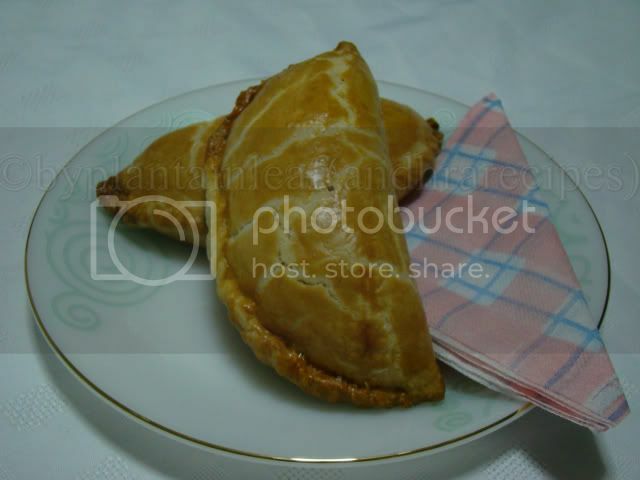 This pastries are popular with farmers and labourers particularly in the North East England also . 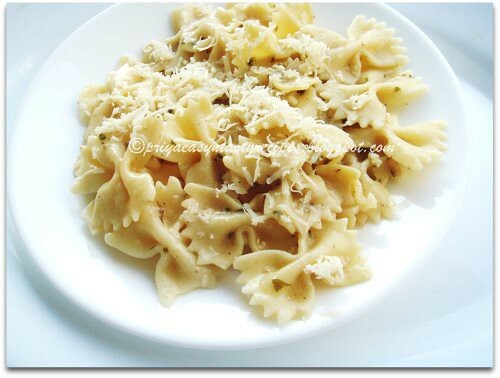 It turned out fantastic for me, check out the recipe how I made it.. 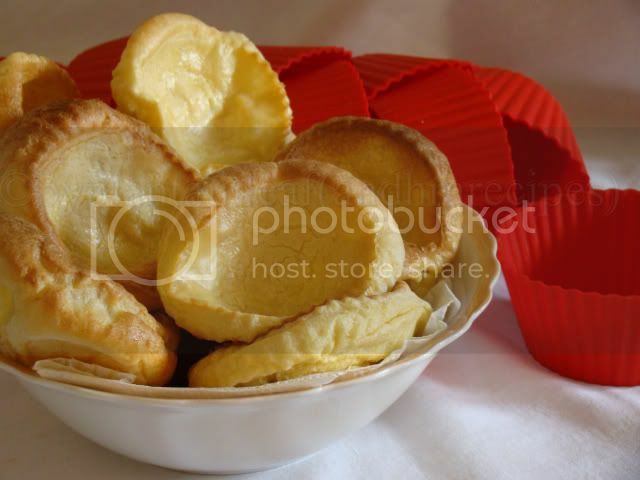 Shift flour,salt,baking powder in to a bowl, add butter mix with your hands to combine butter and flour. Rub well to make this flour and butter mixture in to a breadcrumbs consistency. Add water and make a stif dough, sprinkle little by little water and mix the dough make sure that dough should not be sticky and don't stretch the dough.Cover and leave it a side. 1.Heat oil or butter in a pan add chopped onions and fry till they turn in to translucent. 2. Add chopped potato and carrot sprinkle half salt mix well cover and cook for 3 minutes. 3.Then add chopped cauliflour,mushrooms,cabbage,remaining salt, pepper powder and sprinkle 1 tab sp water cover and cook in low heat for 10 minutes. 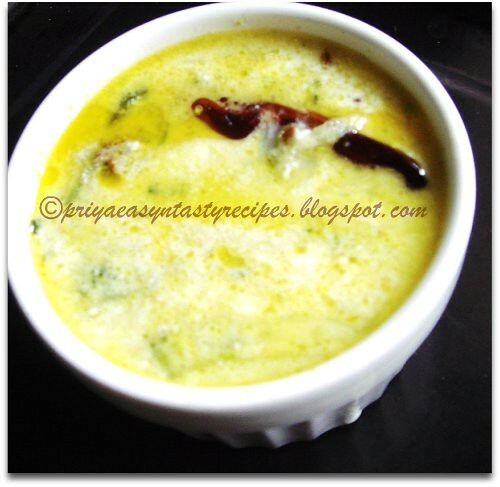 Here you can add 1 beaten egg and 1/4 cup milk to this vegetable mixture to enhance the taste of the filling. 4. Stir occasionaly and cook till mixture become dry,If you make sure there is no moisture in the vegetable mixture, add cheese mix well and remove from heat and let it cool. 5. Divide pastry dough in to equal portions and roll each portion in to 1/4 inch thick and 5 inches round, don't stretch the dough. 6. Place vegetable mixture on one side of the pastry circle,wet the pastry edges with beaten egg and flod the pastry over filling. 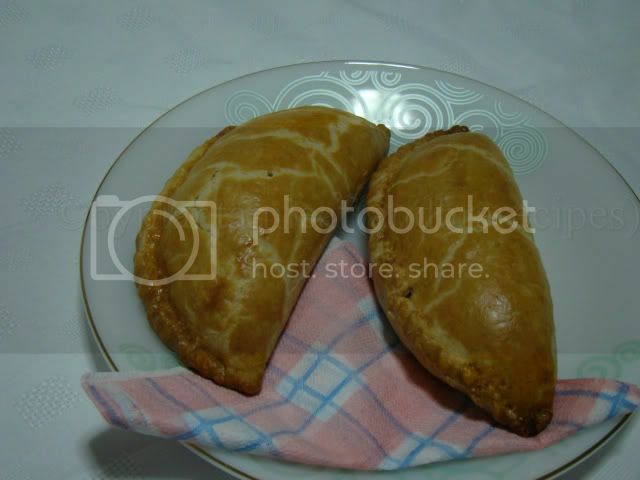 8.Transfer the pasties to a baking sheet, brush with beaten egg or milk. 9.Preheat the oven at 450 degrees F(230 degrees C) for 10 minutes. Turn oven down to 350 degrees F(175 degrees C) and bake for 35 minutes. 1. Heat the oven at 350degreeF or 180degreeC or gas mark 4 for 10 minutes. 2. Grease a 1 liter pie dish ( I used the foil tin that also worked well) With little butter. 3. Trim the crust of the bread and cut in to triangles or what ever shape you like and spread butter bothe sides and keep a side. 4.Now place the buttered bread slices in the pie tin like a layer,sprinkle half of the raisins evenly over the bread,Sprinkle little nutmeg,cinnamon. 5.Repeat the next layer with bread do the layers till the bread finished and top layer should be raisins. 7.In a bowl beat eggs with 3/4 sugar and the vanilla extract till light and airy. 8.Pour the milk in to beaten eggs beat well to combine milk and eggs evenly. 9.Pour this egg and milk mixture over the layered bread slowly and evenly.Gently press the surface to push the bread in to the liquied . 10.Sprinkle the remaining sugar over the surface and leave it a side for 30 minutes. 12.Serve hot. 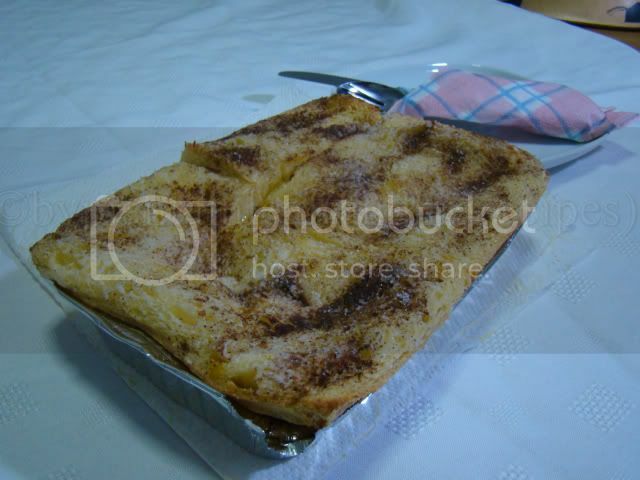 I didn't serve any sauce or custard with this we enjoyed it hot with beautiful cinnamon flavour. 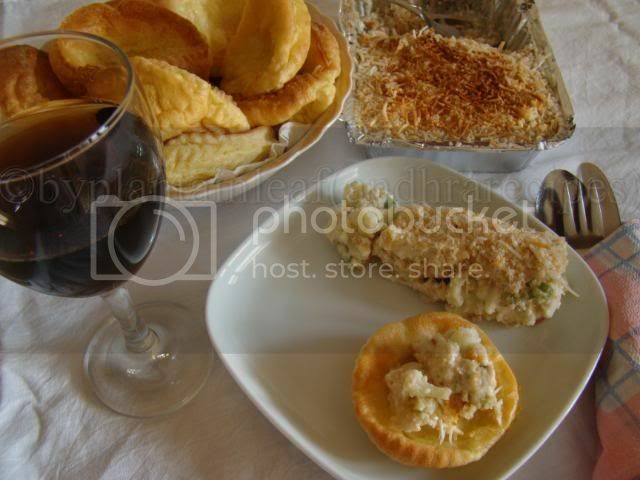 Yorkshire pudding is a staple of the British sunday lunch.This pudding is originated from Yorkshire a place in North England.Yorkshire pudding generally a savoury muffin like dish traditionaly served with Roasted meat and gravy as a sunday lunch,some times this will continue with vegetables and white sauce. 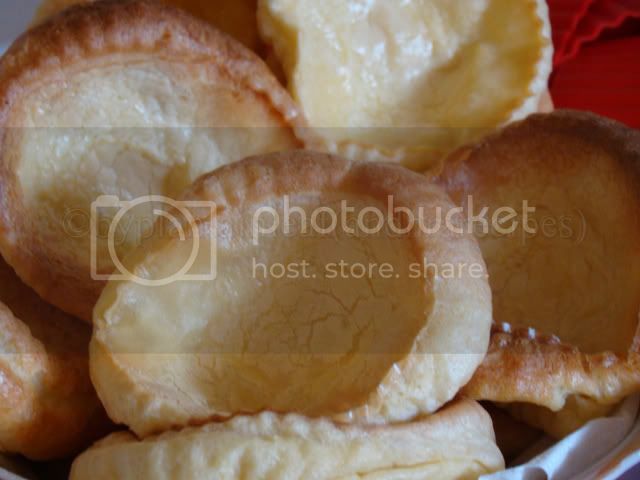 This is a traditional meathod of eating this pudding in Yorkshire and it is still common in some parts if Yorkshire.This pudding is known as pockets because of there shape may be. 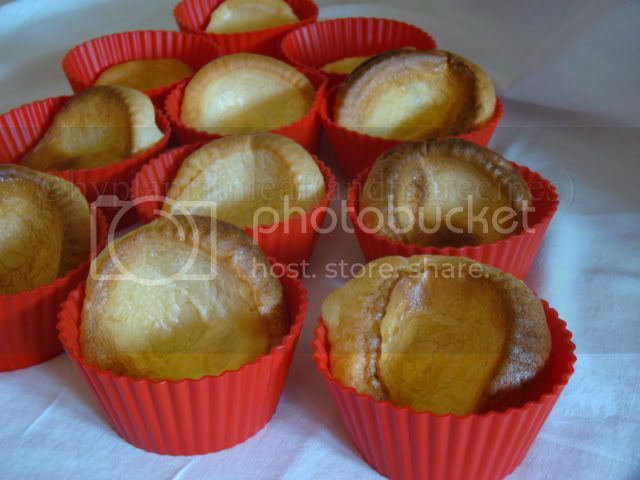 Yorkshire pudding is made with milk,eggs,flour, this pudding is not difficult to make if you have a right recipe and the right oven temperature.Here how I made it..
1. Preheat oven at 375 degrees F or (190 degrees C). 3.divide 2 tab sp butter in to twelve muffin cups about 1/4 tea sp in each cup,place this muffin cupe in oven to melt butter for 2 minutes. 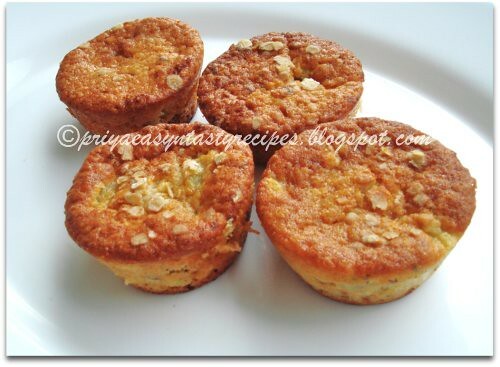 4.Remove the muffin try from the oven and pour the batter evenly among buttery cups. 5. Bake in preheated oven 5 minutes, then reduce heat to 350 degreesF(175degreesC)and bake for 25 minutes more or till puffed and golden. 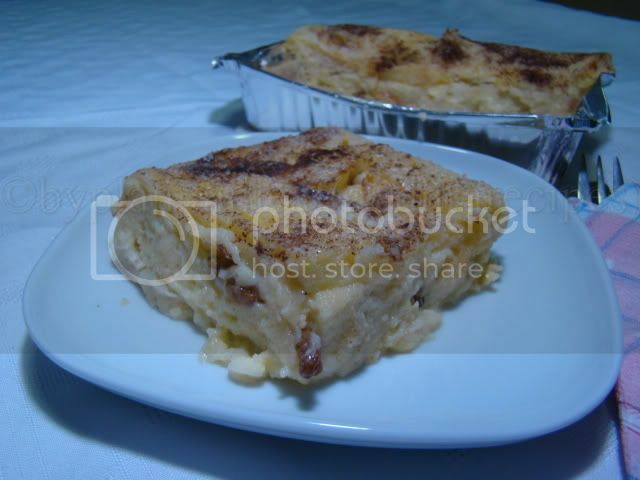 And to day I finished 500 recipes in my blog I am very happy for that . This is all because of my readers,blogger friends. thanks to all of you for encouraging me to reach this mile stone.A big thanks to my husbend who gave me a fantastic support and tasted my food. Pepper powder --- 1 tea sp freshly ground. 1.Add cauliflower florets to boiling water with little salt and boil for 10 minutes or thill tender,make sure that cauliflower shouln't become mashey. Drain water and leave a side. 2.Heat butter in a sauce pan add flour and fry till nice aroma comes out, make sure your flour shoud'nt change the color that should be in white color only. 3. Add milk to the flour and butter mixture,stirr continuously till the sauce thickens. 4. Keep the heat very low and add 1/4 of the cheese, mustard,nutmeg,salt and pepper stirr well ans cook for another one more minute. 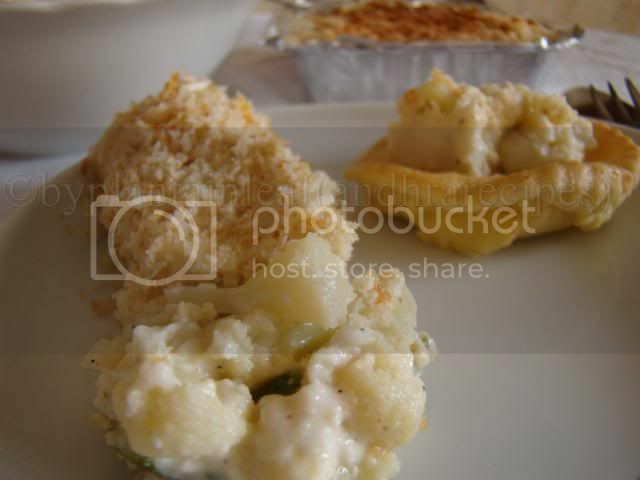 5.Spread cauliflower florets in a baking dish and pour the white sauce over the cauliflower. 6. Mix the remaining cheese and bread crumbs,Here I want to tell some thing I didn't add cheese in bread crumbs because already there is lot of cheese in the sauce so I just sprinkle a tab sp of cheese on the top of bread crumbs.But if you like a perfect cauliflour chees then mix bread and cheese as per the recipe. 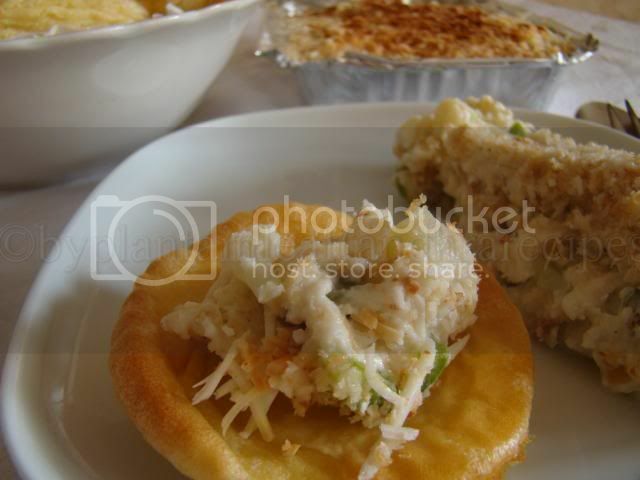 7.Place the cauliflour cheese pan under a hot grill till it turns in to golde brown. 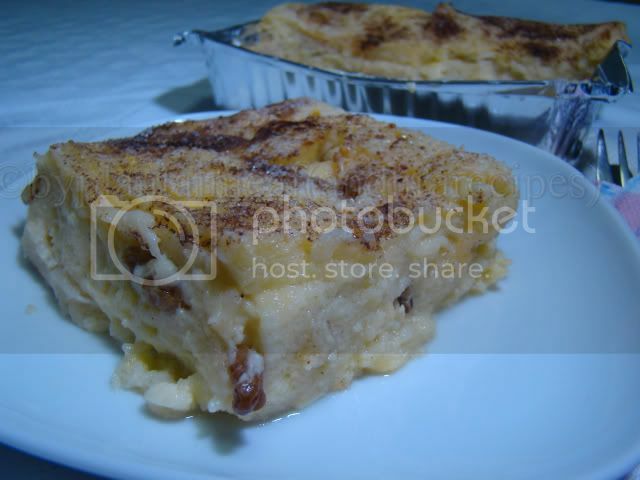 8.Remove from the oven and serve immediately.It taste great when it is hot only. Gujarati dal... that is the recipe for this month s Indian Cooking Challenge. This recipe was choosen by Sri valli from Jigyasa Giri& Pratibha two proud Authors of The Ayurvedic cook book-Sukham Ayu,Which is the winner of the 2nd place for best health and Nutrition book in the World 2009.This Gujarati dal recipe is from there book,In this book they give many healthy recipes and Ayurvedic tips too.Thanks to both of them for sharing this recipe with us and big thank to Sri valli for choosing this delicious recipe. Salt --- 1 tea sp or according to your taste. 1. Wash and soak dal in enough water for half an hour then add turmeric powder and oil to dal and cook till dal become soft. 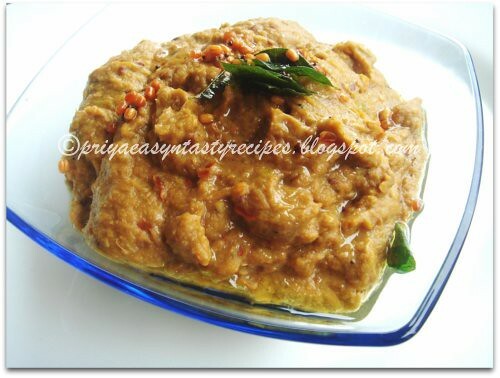 If you would like to cook it in a preasure cooker then cook the dal for 2-3 whistles. 2.Remove the dal from heat and mash well. 4. In a other pan take drumstick pieces,yam pieces add 1 cup of water and cook till the vegetables are tender. 5.Now add mashed dal to the vegetables fallowed by all other ingredients exept garam masala,coriander leaves and seasoning . 6.Add 1 cup water and cook in a low flame for 15 more minutes stir in between. 7.At the same time heat ghee in a small pan add mustard seeds,let them popup then add fenugreek,cumin seeds, broken red chillies,asafoetida and curry leaves. 8.Pour this seasoning into the dal and cook for another 5 minutes. 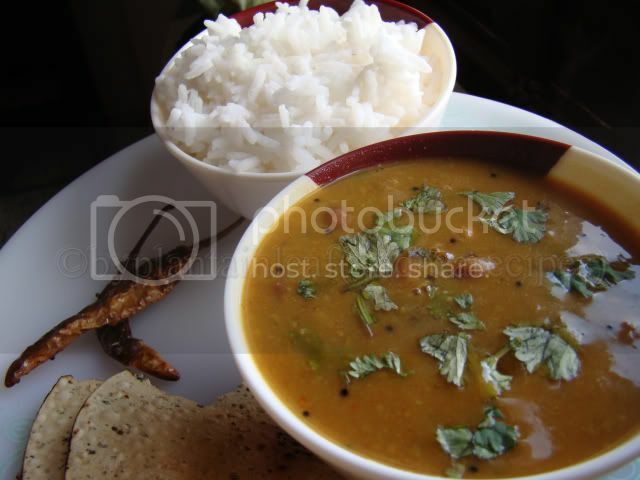 9.Remove the dal from heat and add garam masala mix well and garnish with chopped coriander leaves.